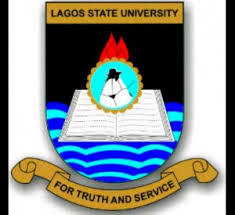 Lagos State University, LASU Dismisses Three Academic Staffs On Charges of Sexual Harassment and Misconduct, Promotes Forty-Nine (49) Academic Staff and Two Hundred (200) Non-Academic Staffs. Dr. Gbeleyi Emmanuel Orilade, Lecturer II, Department of Anatomy, Lagos State University College of Medicine (LASUCOM), Ikeja, Lagos. In a similar development, Twenty-Nine (29) Non-Academic Staff of the University have benefited from an Internal Recruitment Exercise recently conducted by the University. They include Eighteen (18) Administrative Officers II, Three (3) Technologists II, Four (4) System Analysts, Two (2) Academic Planning Officers II and Two (2) Industrial Liaison Officers.